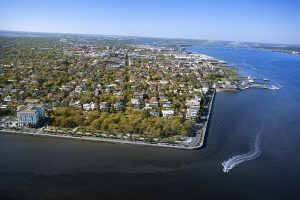 A yacht charter itinerary through the Barrier Islands along the southeastern seaboard of the United States of Georgia, South Carolina and North Carolina is a yacht charter cruise in the historic wake of pirates that once sailed in, out and around the Barrier Islands in the 18th century. Well known legendary pirates such as “Blackbeard”, Stede Bonnet, “Calico Jack” and “Black Bart” all spent time in these islands sailing in and out of various hidey holes along this coastal area. 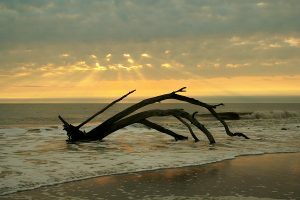 Today, explore this yacht charter location rich in pirate history on a yacht charter cruise through the Barrier Islands of the southeastern seaboard of the United States. 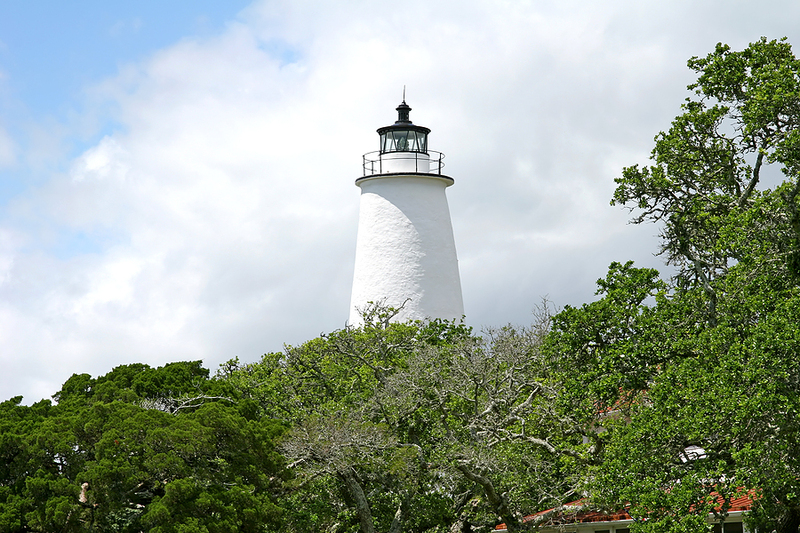 Edward Teach, most well known as “Blackbeard” spent considerable time in the Barrier Islands on his ship “Queen Anne’s Revenge” and met his death off of the North Carolina Barrier Island of Ocracoke in 1718. His ship was thought to have run aground and gone down in Beaufort Inlet, where a shipwreck, believed to be the “Queen Anne’s Revenge” is being excavated today. An exhibit of the artifacts from this underwater excavation and a history of Blackbeard is on display in the North Carolina Maritime Museum in Beaufort, North Carolina, a “must do” stop on a yacht charter itinerary of this area. 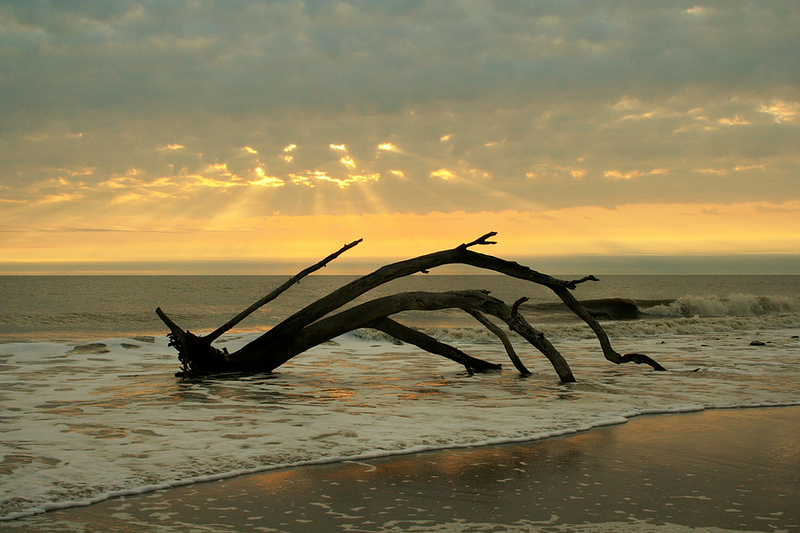 Treasure from Blackbeard’s exploits is said to still be buried somewhere in the Barrier Islands. Stede Bonnet, a planter turned pirate, was captured in 1718 in an inlet close to Cape Fear and was taken to Charleston, where he escaped, was recaptured, and then hung. Pirate William Kidd was said to have buried treasure on Money Island, North Carolina, in the early 1700’s. Pirate Jack Rackham, “Calico Jack”, whose ship flew the now famous flag of piracy, the “Jolly Roger” with the crossed swords, and who counted in his crew the infamous female pirates, Anne Bonny and Mary Read, sailed through this area and attended the famous last party, along with Pirate Charles Vane, the “Pirate’s Party” thrown by Blackbeard on Ocracoke Island just before Blackbeard met his demise. Pirate Bartholomew Roberts, also known as “Black Bart”, was one of the most successful pirates of the “Golden Age of Piracy”, accumulating over 50 million pounds worth of treasure after he was forced into piracy when his vessel where he was First Mate was captured by pirates. “Black Bart” is said to have captured over 400 ships some of which were captured when operating out of the Barrier Islands. With the many rivers, inlets, islets and islands, and the close proximity to the huge number of islands in the Bahamas, the Barrier Islands and nearby coast offered an excellent location for many pirates in the early 1700’s to hide, and even bury treasure. 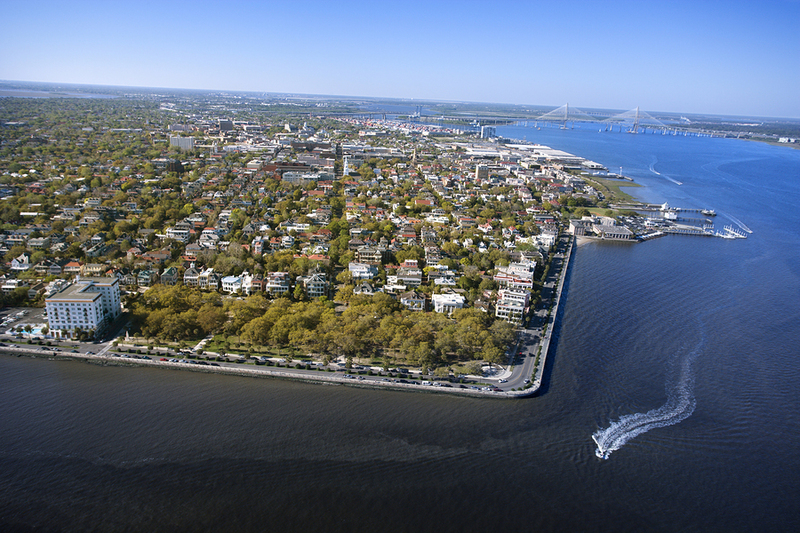 Cruise along these islands on a crewed yacht charter in the wake of the pirates and discover this rich colonial history of piracy along the southern seaboard of the United States.